Tasmanian Association of Vocational Rehabilitation Providers Inc. The “Dark Side of Rehab” Symposium was held on 16 June 2017 at Wrest Point Convention Centre, Hobart. Symposium participants participated in a very informative day at Wrest Point. The date was selected to allow the opportunity to attend Dark MOFO Winter events. The full day schedule included 13 individual presentations, and 2 panel discussions with 3 members comprising each panel. 5 invited interstate presenters contributed to the symposium, together with Tasmanians with a range of health professional, industry, legal and other stakeholder qualifications. 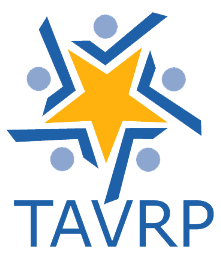 TAVRP’s Symposium Planning Committee worked hard to develop a comprehensive program, which provided learnings across a wide variety of occupational rehabilitation related topics and with up-to-date research and thought-provoking information being presented. The day started with a pre-symposiumn breakfast by examining the darker side of occupational rehabilitation, and ended by turning attention to the more positive aspects. A post symposium workshop was hosted by Mark Stipic, on the topic of overcoming employer ambivilance. ….how dark is the dark side of occupational rehabilitation ? …. The speakers were Dr Genevieve Grant (Monash University) Dr Jodie Oakman (Latrobe University) , Teena James( MAIB) Dr Mandy Matthewson and Anne-Marie Dean, of University of Tasmania. Topics covered were workplace issues and barriers to return to work through workers compensation data, barriers to musculoskeletal recovery, road trauma statistics and barriers to recovery and return to work, and claimant experiences from within the workers compensation system. Contributing factors to poor RTW outcomes considered included the workplace (e.g. job design, scheduled demands, decreased influence and low supervisor support) and individual aspects which predict poor outcomes (e.g. self-reported pain, psychosocial aspects, low job satisfaction). An UTAS Research study presented findings on what is working and why, and what can be improved, how and why, from the perspective of the claimant. Contributors to this session were Dr Barry Gilbert, Dr Peter Sharman (Occupational Physicians) Ms Emma White (Legal Practitioner) and Dr Frank Chow (Psychiatrist, Independent Medical Examiner). Medications were discussed, including the danger involved with long term prescription of opioids, with dosages often increased rather than decreased. More pain clinics and hydrotherapy were recommended. The cost and relevance of repeated independent medical opinions was discussed as was the role of the Occupational Physician in RTW and occupational rehabilitation. Legal issues were considered, in particular the complications with workers’ compensation claims cause. A psychiatric perspective discussed the problem of lack of insight within individuals, the barriers and the challenges this presents for both employees and employers, and the resulting difficulties with successful RTW. Good diagnosis and early treatment was recommended, but also the need to consider individual personality traits, mindset and psychosocial factors. Emma Gee, an occupational therapist, described her personal journey of acquired disability and how she has met this challenge with determination and a positive attitude, despite not regaining her previous level of function and daily pain. This inspiring presentation was very well received. ……. Panel discussions……..overcoming barriers with Physical and Psychological injuries…. Participants split into two groups for discussions with panels of health professionals, industry and insurer stakeholders. The physical injury panel discussed RTW through the prism of complex physical trauma and RTW, and the psychological panel discussed PTSD, self-harm and RTW, with both groups addressing potential solutions or barriers including turning negatives into positives. ….. returning to the light , positive steps……. and overcoming RTW barriers. Professor Alex Collie ( Monash University) discussed multi-domain interventions for workers with MSD or mental health conditions. Mark Stipic ( The RTW Guy) provided advice for rehabilitation professionals and asked us to master our mindset, be prepared, and to do what we say we will do in order to create client trust. Some messages to assist attendees to achieve successful RTW outcomes with their clients included: concentrating on what the injured worker can do and not what they can’t; individual worker motivation is the key; the biopsychosocial model is valuable; active treatment is better than inactive; and trust is central to achieving outcomes. Networking drinks were provided to conclude the Symposium.